Citation: Tynes, B. M., Rose, C. A., & Markoe, S. L. (2013). 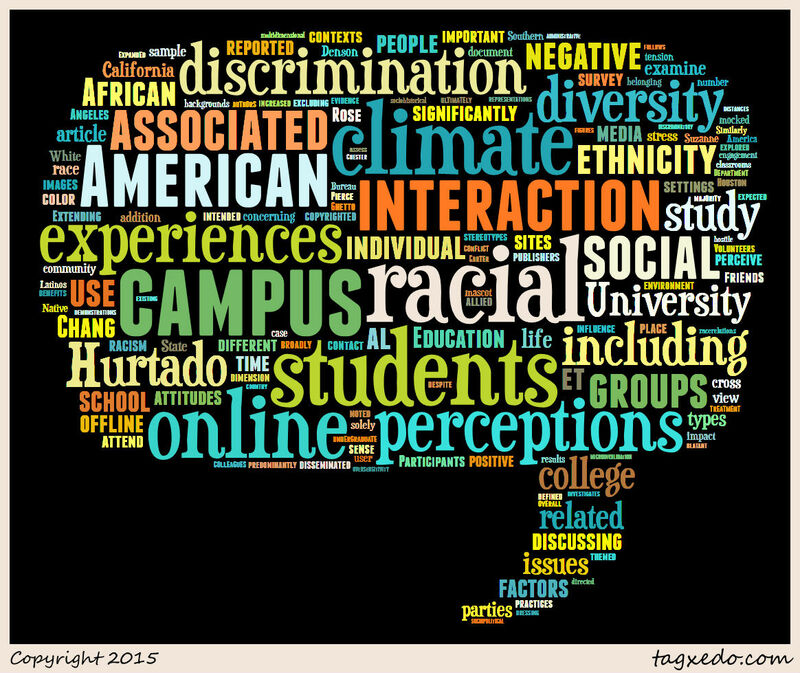 Extending Campus Life to the Internet: Social Media, Discrimination, and Perceptions of Racial Climate. Journal Of Diversity In Higher Education, 6(2), 102-114. 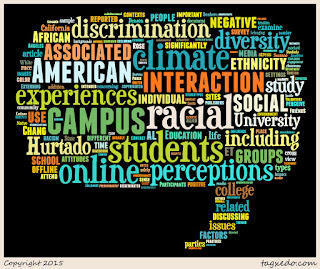 Summary: This article explained the results of an online survey of 217 students (directed towards African American and European American students) with particular attention to attitudes and perceptions around racial groups, discrimination, and tension in the online and offline worlds and how such experiences and perceptions relate to campus racial climate. The survey collected data on ethnicity, social media usage, school-related social media usage, network diversity in online and offline environments, online racial discrimination and stress, and racial climate. The survey revealed that European Americans had smaller degree of ethnically diverse interactions (14%). African American students also engaged more intensely and with a wider range of people in the online world. The results captured the discrepancy in exposure to race-related negative content that either group experiences with African Americans being exposed to much more negative content. The results indicated that perceptions of campus racial climate are affected when students are the direct recipient of racially related interactions online. The study noted that its work is still preliminary and more research into the analyzing online contexts and interactions.